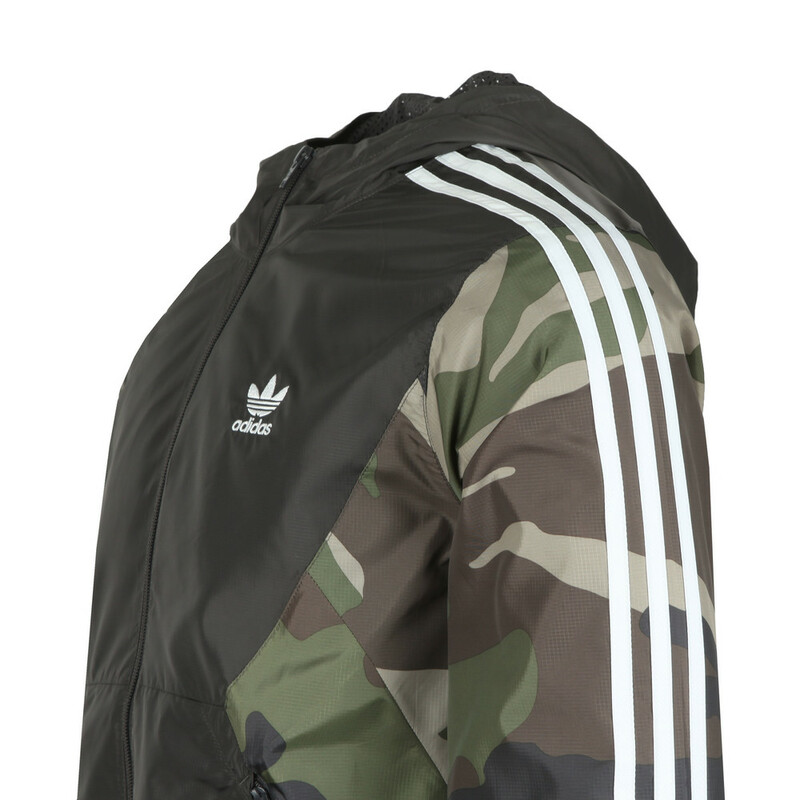 adidas originals Camo Windbreaker in Utility Black. 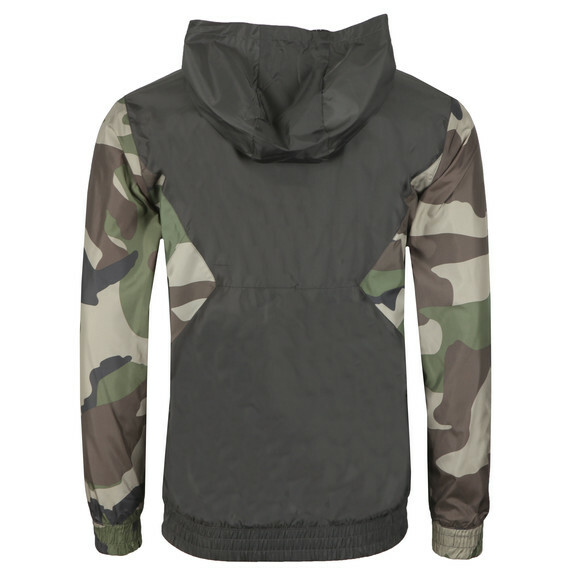 Designed with contrasting, camouflage-patterned panels tot he sides and sleeves. 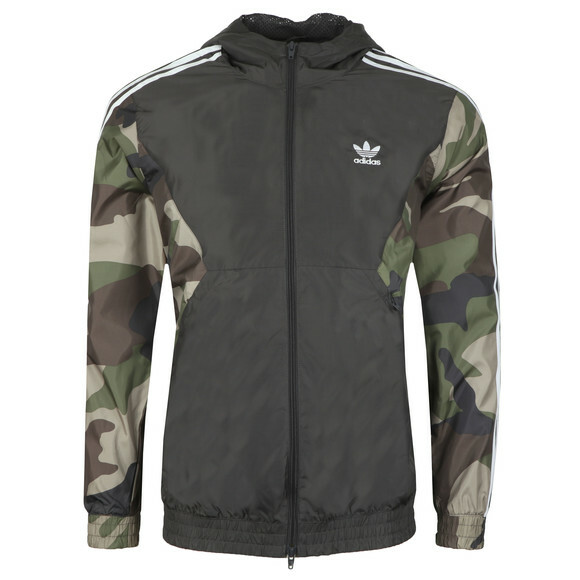 Adidas's three stripe design can be found on both sleeves whilst an embroidered trefoil logo sits on the chest. Zip closure pockets are added to the waist.